Happy Halloween Eve!!!! I can't believe how fast this month went by. Excited but sad to know Halloween is already almost come and gone, poowy! And I even almost forgot to post this! smh! Well here is my last Halloween mani of 2015 guys. 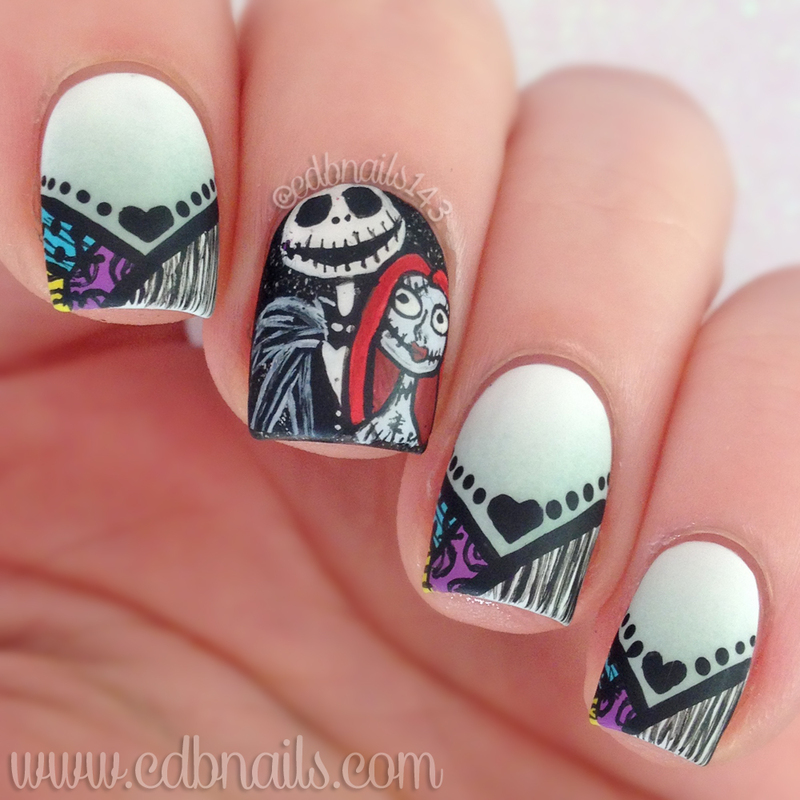 This is my Halloween prompt for 40 Great Nail Art Ideas. Of course I had to end it with my all time favorite Halloween(and Christmas) movie! The Nightmare Before Christmas. I have had this design drawn out all month but after the detail work I did on my Last of Us mani, I didn't know if I had it in me to sit for numerous hours doing a mani lol But then realized that I just had to do it, I mean, c'mon! 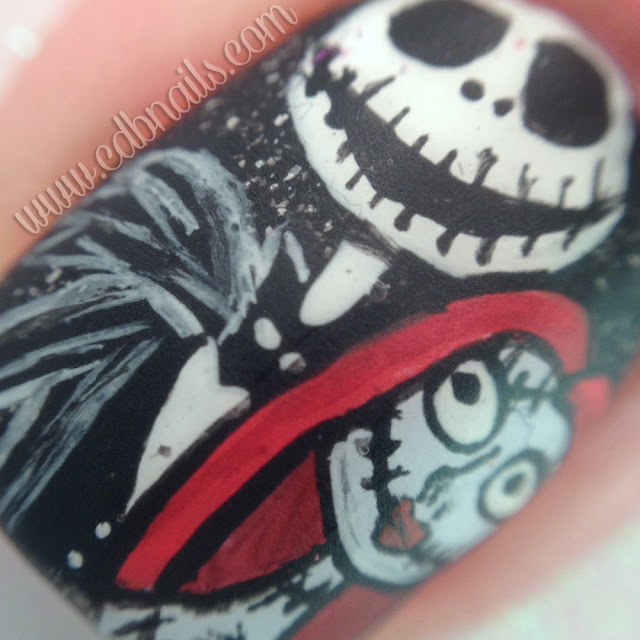 It's Nightmare Before Christmas!! I started out with a subtle pale blue to white gradient as my base using KB Shimmer Eyes White Open and Zoya Bevin. I then freehand painted everything with acrylic paint. I also used a dotting tool for the hearts and dots framing the tips. The base behind Jack and Sally is Zoya Storm. I sealed it all with Wet'n'Wild Matte Top Coat. Wow, i can't believe your freehand skills! This looks amazing! 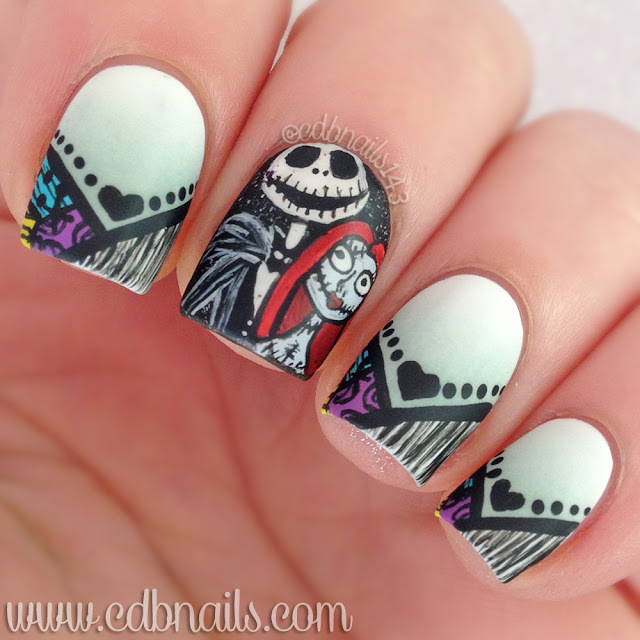 This is by far the best nightmare before x-mas mani I've seen this year, amazingly done! These are amazing! I'm green with envy of your freehand skills. These are amazing! Your nail art is always such a treat!